DUI; DUI Manslaughter; Vehicular Homicide; Drivers License offenses; Murder, Manslaughter; Sexual Battery; Lewd and Lacivious Conduct; Exposure of Sexual Organs; Aggravated and Simple Battery; Aggravated and Simple Assault, Grand and Petit Theft; Criminal Fraud, Forgery; Burglary; Arson; Drug Possession, Purchase, Sale and Trafficking; Resisting Arrest with or without Violence and Violations of Probation. I also do criminal record expungements and sealings. I will evaluate your case and aggressively pursue any legal defenses available to you. 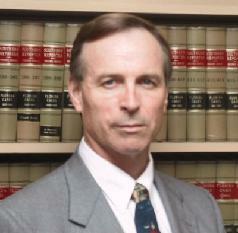 All initial consultations in criminal and DUI matters are free. It costs you nothing to call or meet with me. Call 772-633-6009 now for a free consultation in your case. You may call days, nights or on week-ends.You can also contact me at johnpower@verobeachlaw.com. My address is 2182 Ponce De Leon Circle, Vero Beach, FL 32960. The hiring of a lawyer is an important decision that should not be based solely on advertisements. Before you decide, ask me to send you free written information about my qualifications and experience.